The Zentrum Automobil promotes itself as an alternative union, but it’s leaders show its just more from a dark past. The Zentrum Automobil union is raising concerns in the automobile industry and with politicians in southern Germany for its increasing neo-nazi rhetoric and influence among the workers. Leading members of the Zentrum Automobil workers union have shown sympathy for Hitler and his Nazi ideology, sometimes in very explicit ways, according to German journals Report Mainz, Stern and Stuttgarter Nachrichten. 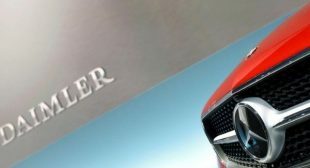 The union represents workers at a Mercedez Benz plant in Baden-Württemberg, southwestern Germany, that is operated by the Daimler car manufacturing company. They promote themselves as an “alternative labor union,” trying to draw supporters from Germany’s leading industrial workers’ union IG Metall. “The IG Metall promises a lot, but the situation keeps getting worse. What we need now is a political alternative for the working space of all our colleagues,” said Zentrum Automobil in one of their most recent promotional videos.